The 3D printing market is growing. We seem to be introduced to new ways of using the technology almost every day. We are even seeing 3D printing being used to print molds for the injection molding process. But, how does this benefit the manufacturing process? Are there limitations to using 3D printing for injection molding? Can you get parts faster using a 3D printed mold? 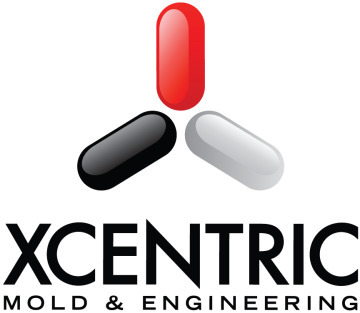 How do 3D printing molds match-up against Xcentric’s Advanced Mold Making and Proprietary Process Engine? Optimizing your part design from concept through production will help you eliminate unneeded costs and reduce the time frame to produce your custom injected molded plastic parts. Learn how to incorporate things like draft, threads, hinges and overmolding by taking advantage of the most advanced injection molding process engine and mold making system in the industry. Not all mold makers are the same. Follow the guide of the most advanced.